One of the traits often associated with libertarians is anti-war. I’ve always found this moniker somewhat odd, as I can’t think of anyone who is pro-war. There are merely those willing to fight for their rights, and those who feel there is always away to settle differences without war—you know—the people who have apparently never heard of Adolf Hitler, Saddam Hussein, Emperor Hirohito, et al. If you wish to argue Hussein doesn’t belong on that list, tell that to the people of Kuwait. I understand that some will consider the 2003 Iraq war the result of a pro-war sentiment, but being the type who doesn’t believe complex conspiracy theories easily, I trust that the Coalition-of-the-willing who decided to re-engage Iraq in 2003 were reacting on what they believed was a real and imminent threat, as well as enforcing U.N. resolution 687, U.N. resolution 1441, etc. Iraq had violated U.N. resolutions 16 times in total after being driven from Kuwait, which ultimately was the legal basis for going to war as noted here. The threat of WMD’s which turned out to be either Saddam Hussein’s own false bravado, or they were simply moved to Syria as reported by Saddam’s former Air Force general, was perceived to be real by all involved and I will not engage any other wild theories about why we removed Saddam from power. When people say it was an illegal war and all nations who participated are guilty of war-crimes, I generally assume they are mired in Bush-hatred to the point of being delusional. I’m not necessarily condoning the war, but reasonable people must understand that hindsight is 20/20—had we known he wasn’t the threat he worked so hard to convince us he was, I have little doubt we would have continued to work towards peaceful resolutions with Hussein and focused our military efforts solely on Al-Qaeda in Afghanistan and Pakistan. But that being said, if we’re not prepared to back up a surrender agreement and/or U.N. resolutions with military force, what is the point of accepting the agreement or enacting the resolution in the first place? If we’re going to allow someone to violate them 16+ times without repercussion, we are a paper tiger. So about the size and scope of our military, I wish to make a few points. I believe it is foolhardy to assume that if we just left the world alone, no one would ever attack us. We tried avoiding war during World War II, but Japan attacked us anyway. We are a resource-rich nation with a lot worth stealing, and these resources and our rights are worth defending. Are we involved in too much? Absolutely. Should we be completely uninvolved? Absolutely not. If we understand point one, then we must have a system of defense. Every organism has a defense mechanism, why shouldn’t we? I understand the idea of peace, love, and happiness, and I generally support it. But it’s hard to have peace, love, and happiness with people who want to kill you and/or take your stuff. To deny this, would be akin to arguing that every serial killer was simply misunderstood and likely provoked by their victims. If we are to have a system of defense, there’s not much point in having it if we refuse there’s ever a reason to use it. There must be a point at which you decide it is the best alternative, and reasonable people are always going to disagree on when that is. But for me, it’s when us or our allies’ are attacked or credibly threatened. So with all that in mind, I’d like to reiterate something I noted in my earlier post, Great Leaders Make Results, Not Excuses. While Reagan was often criticized for military spending, and was arguably the greatest builder of the U.S. Armed Forces, every successive president has placed our military in harm’s way more than Reagan did. So how is this? It may seem counter-intuitive that a president hell-bent on maintaining the most powerful military in the world would rarely use them, but as most martial arts practitioners or gun owners already know, being trained to thwart any aggression against you doesn’t make you aggressive, it just makes you prepared. For the benefit of those not alive during the Reagan era like I was, it’s hard to appreciate the overall feeling of the people at that time. We were in a cold war with Russia, and mutually assured destruction hung over us like a dark cloud that could send shivers down your spine just thinking about it. A real and rational fear of death was everywhere. But one thing we understood was that if anyone dared attack us, the sleeping giant that was the United States would demonstrate the “Don’t Tread On Me” flag’s message with deadly consequences. Reagan was as affable as any president in modern history, but there was little doubt he would not hesitate to eliminate any threat against us. For eight years, no one dared to attack us because of the threat of imminent death that would result. With the exception of Grenada, we were pretty keen to leave them alone too. To illustrate this point, imagine you were walking down the street and ran into MMA fighter Andrei Arlovski, even if you hated the guy, you probably wouldn’t pick a fight with him. We all inherently understand the idea of not attacking someone we have little chance of defeating—it’s an example of our DNA’s self-preservation attribute. It’s for that reason that Peace-Through-Strength is the best chance for the safety of the United States. So when should we attack? I wasn’t alive during Hitler’s reign, but my father was. One point he made to me was that after Hitler was defeated, the people of the allied nations had a collective belief that we could never let another Hitler be allowed to forcibly take over nations in a bid of world dominance. Hitler became more dangerous with every action we avoided taking against him. Being the world’s last remaining super-power, on occasion, we may have to step in as we did for Kuwait in 1991 for the same reason. Had we not, Hussein surely would have become the Hitler of the middle east without stopping until someone had the courage to intervene as we did. The United States is undoubtedly spread far too thin around the world. With the miracles of modern technology, we can cut spending by reducing troop levels yet increasing the capabilities of future weapons systems. But the best way to assure the safety of the United States and its allies, is to assure that we are so powerful, no one would dare mess with us. I will never condone wasteful spending by any government agency, including the military, nor will I condone putting our military in places where we don’t ultimately need them, but I will never believe that reducing our government should involve reducing our military to a level that makes us vulnerable to defeat from an attack. If you truly want peace, you must prepare for war. There are a couple ways we can interpret this last election. Some feel this was the entitlement society voting for free stuff, but that’s an ignorant view in my opinion. While that was a percentage of the defeating vote, it’s not the majority of it. Most people want to earn their keep, but they want personal liberty more than anything. Some say Gary Johnson defeated Mitt Romney, but even if Romney had gotten the Libertarian vote, he still wouldn’t have won. Polls of Gary Johnson voters showed that only about 2/3’s would have voted Romney had they only been given the two choices. So let’s be honest about what really happened here. The RNC excluded Gary Johnson from the debates after the first one, even though he was polling similar to Herman Cain, John Huntsman, and others who were allowed to carry on. Then to make matters worse, they didn’t let Ron Paul speak at the RNC convention without getting a transcript of what he expected to say first for their approval. The fact is, folks like Ron and Rand Paul, Gary Johnson, Justin Amash, the Tea Party, etc., care about liberty and limited government more than anything. We also believe that the Libertarian Party should not be separate from the RNC, but instead the future of it. If we look back at the election, the Republicans that won were the Tea Party limited government candidates while social conservative such as Akin and Mourdock lost in largely Republican states. The lessons are there to learn, but will the RNC learn them? While I personally don’t support gay marriage, marijuana legalization, right to choose an abortion, etc., liberty is my number one value as a legislator. I will always encourage everyone in my circle of friends and family not to do these things, but I will never believe it is the government’s business, right, role, nor its duty to be involved in them. When I talk to the majority of people who are either apolitical, or generally not that interested, most of them say they are socially liberal but fiscally conservative. I have news for you. If this describes you, you’re basically a Libertarian. While both parties have done well to brand Libertarians as fringe anarchists and pot smokers, those of us who actually consider ourselves Libertarian/Republicans find that view of us misleading and insulting. I wish that the DNC voters understood what Reagan understood and taught us. That taxing the rich has never helped the poor. That trickle-down economics actually works. And, that assured destruction via the world’s strongest military is the best insurance against someone attacking us. (In case you didn’t notice, while Reagan was often criticized for military spending, every president who has succeeded him has put more troops in harm’s way, either through war, or conflicts such as Somalia. Which do you prefer? Spending money on a military we don’t use, or cutting their budget and making us vulnerable to attack? As long as there are irrational people who hate America, you can’t have both and remain safe.) But sadly, the masses don’t often understand these points. However they do get the concept of personal liberty. For two years, we have to hope that USHOR will throttle the Senate and White House’s tax and spend agenda. If the RNC embraces the Tea Party’s limited government ideas, it can promote religious views as long as it vows not to legislate them. Then it will be quite possible to pick up the Senate in 2014, and if they choose someone like Rand Paul in 2016, I have no doubt they would take back the White House also. Some say Rand could not beat Hillary, the odds on favorite for the DNC in 2016, but let’s be honest. I don’t believe there are Romney voters this cycle that would vote Hillary over Rand, but I think there can be no doubt Rand would steal a lot of votes from the DNC’s not-so-faithful. Social conservatism must remain a personal choice within those who choose to follow that dogma, but polls have shown that people are far less religious than they used to be, while the desire for personal liberty continues to grow. Conservatives must get to work changing the RNC mantra, and fast. Leave the Akins and Mourdocks behind and start pushing Rand Pauls, Gary Johnsons, and Justin Amashes for the future. JFK’s most famous quote is “Ask not what your country can do for you­—ask what you can do for your country.” Does that sound like the message coming from DNC leaders now? Of course not. Socialism is slowly infecting the party on the left, and we can defeat that nonsense. 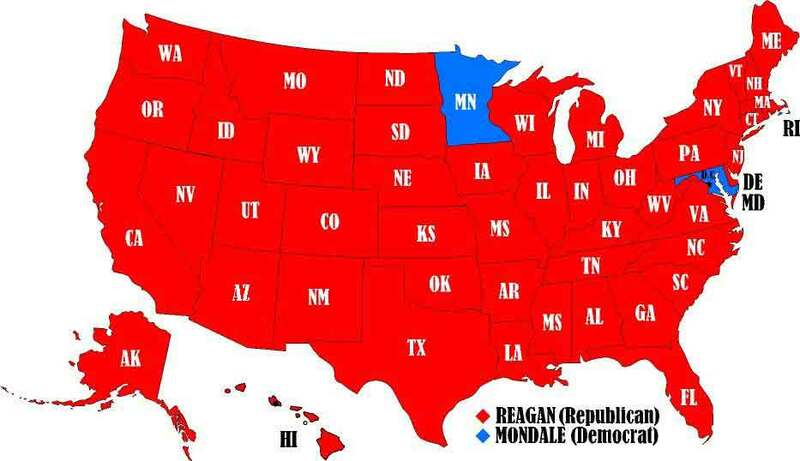 Ronald Reagan once said, “I believe the very heart and soul of conservatism is libertarianism.” He won 44 out of 50 states one election, won 49 out of 50 the next. Including states like California and New York which haven’t even thought about a Republican since. He did it by championing limited government, not by getting in bed with the religious right. We can win back our government, but we need another Reaganesque libertarianish Republican, not the religious zealots that the RNC continues to field. Our current president claims to be a Christian, but he’s never tried to legislate those beliefs, and he won. It wasn’t about entitlements; it was about personal liberty, a narrative that is supposed to be the RNC’s domain, but that we let the DNC steal from us by allowing the left to define us as ignorant flat-earthers. So what can defeat the new socialist party that is the DNC? The new libertarian party that the RNC can become; that’s what!